OPEL ASCONA 400 DE 1983, COLECCION RALLY DE MONTECARLO, ALTAYA 1/43. COCHE A ESCALA 1/43, DE LA COLECCION RALLY DE MONTECARLO ALTAYA, MODELO OPEL ASCONA 400 DE 1983. 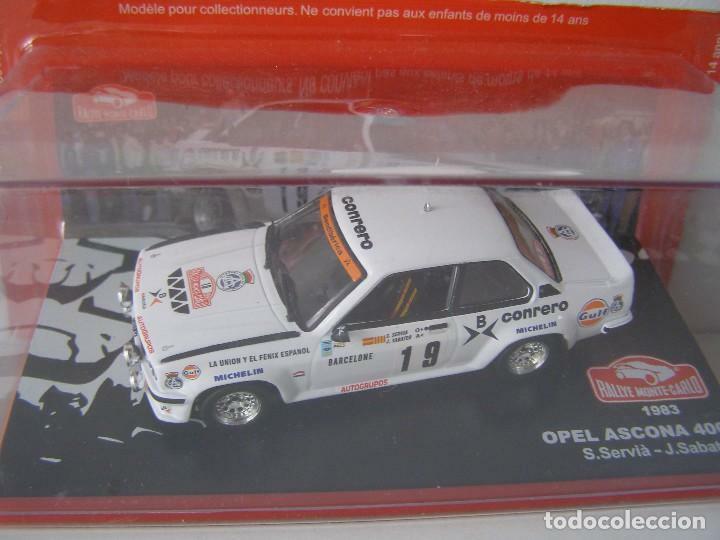 OPEL ASCONA 400 DEL 1981, COLECCION RALLY DE MONTECARLO, ALTAYA 1/43. OPEL MANTA 400 DE 1986, COLECCION RALLY DE MONTECARLO, ALTAYA 1/43. PORSCHE 911 SC DE 1982, COLECCION RALLY DE MONTECARLO, ALTAYA 1/43. Hora oficial TC: 05:03:39 TR: 134 ms.